It has been quite a while since I have corresponded with you, and I know many of you are wondering when my next book is coming out, and what has happened to me. In fact, the most amazing thing has happened to me, turning my life upside down. I have been given a second chance at love. I finished my last book for Harlequin in September, 2013, and was planning to continue writing for them. But….A few days later I met the man I am now engaged to. We fell in love in a single day, and became a couple in a week. Effortlessly. My life has changed radically. All the time I spent plotting, researching and writing I now spend with Rick, a great deal of it traveling– almost every month we are at horse shows across the country, we often hike in Colorado, ride and fish in Montana, do Broadway in NYC, and the list goes on! Of course, we have weekends in Scottsdale at my ranch and in Ohio at his farm. And my six foot two inches tall, blue eyed cowboy cooks! Good food, fine wine, dining out, hanging with the dogs…..I have found my best friend, my lover, travel companion, horse show buddy and fiancé, all in one. When we first met I thought I’d take a six month break from writing, and it was long overdue. I knew I was burned out. Six months became twenty months. My motto as far as writing goes hasn’t changed. I will never hack anything out; I will never write without passion and inspiration. In any case, for those of you clamoring to know when my next book will be out, right now there isn’t one. And I am so sorry to disappoint you. I wish I could live life the way I have been living it and write great books too. That is impossible. There just isn’t time. However, my muse has returned. Finally, I know who and what I want to write about, and it is a big endeavor. 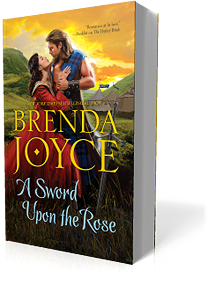 It is historical fiction, a sweeping story about an amazing woman set in the late 1300s and early 1400s. It is a story of passion, adventure, intrigue, scandals, tragedy and triumph, and, of course, true love. That is the good news! But this is not a book one researches and writes in a few months, and I do not even know when the writing process will begin. I will keep you posted. I want to thank all of you for supporting me through thick and thin over the past twenty eight years. I know I will continue to write, but it will, from now on, be on my terms and no one else’s. After almost three decades, my life with Rick comes first. And now, onwards and upwards, we are flying into New York for the weekend!